Nigerian Christians are accusing their government of only 'paying lip service' to promises to protect churches from Fulani herdsmen launching attacks. 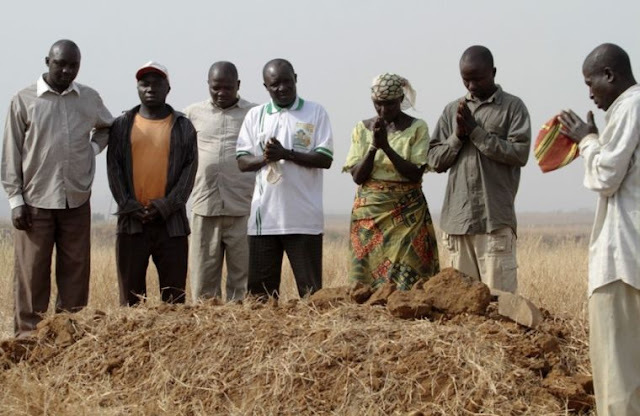 Rev Solomon Dalyop, leader of the Church of Christ in Nations (COCIN) Christian network and in charge of the Riyom area in central Nigeria, said the multiple attacks on Christians were ongoing despite increased military presence in the region, according to World Watch Monitor. He said the soldiers were not being effective because 'their paymaster, the federal government, is only paying lip service without serious political will to end the crisis'. It comes after at least four people died when Fulani herdsman opened fire on miners in Jol village in the Riyom district of Plateau state. Rev Yakubu Pam, chairman of the Christian Association of Nigeria (CAN) in the northern region, told World Watch Monitor the attack was 'most unfortunate' and called again on the government to protect its citizens. Following on from the attack, Riyom's House of Assembly representative Daniel Dem said villagers were left to defend themselves 'since [the] government has shown a cold attitude towards arresting and prosecuting the Fulani, for reasons best known to [them]'. He told WWM the situation was 'worrisome' and could lead to a breakdown of law and order.